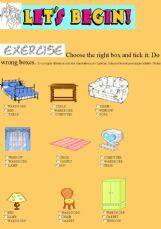 3 time consuming exercises 30-60 min depending on the ability of a student. 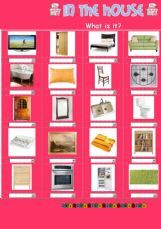 Premises and furniture. 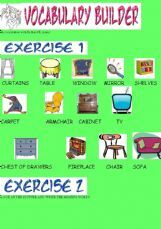 This is an online exercise on furniture and the verb to have got (especially 3rd person singular) I�m preparing for my students as en extension activity. Thanx. 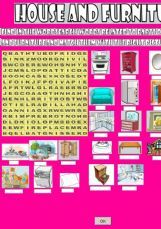 Simple activities to revise the rooms of the house and the vocabulary related to furniture. 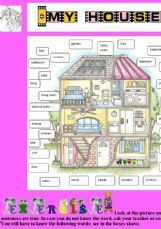 a short exercise suitabale for very young learners as well as adults who are making their first steps in English. 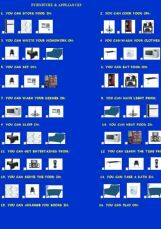 A FUN QUIZ ABOUT THE USE OF FURNITURE&APPLIANCES. I HOPE YOU ENJOY IT! 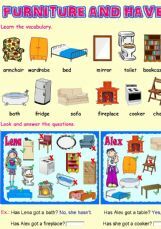 This exercise was done to practice the vocabulary about house and furniture. 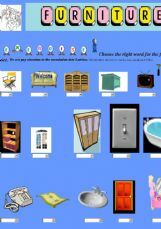 Your students will also practice affirmative, negative and interrogative with the "there to be".Edited today!